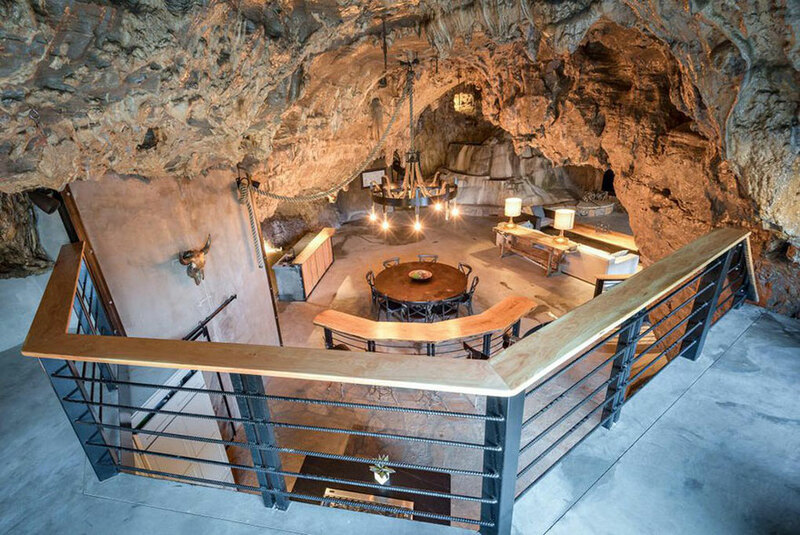 Do you know any Bond villains that are looking for a new home? 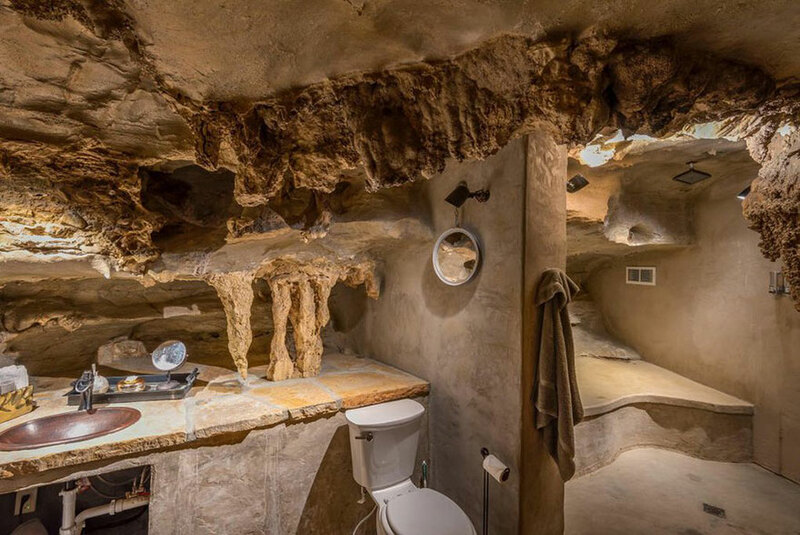 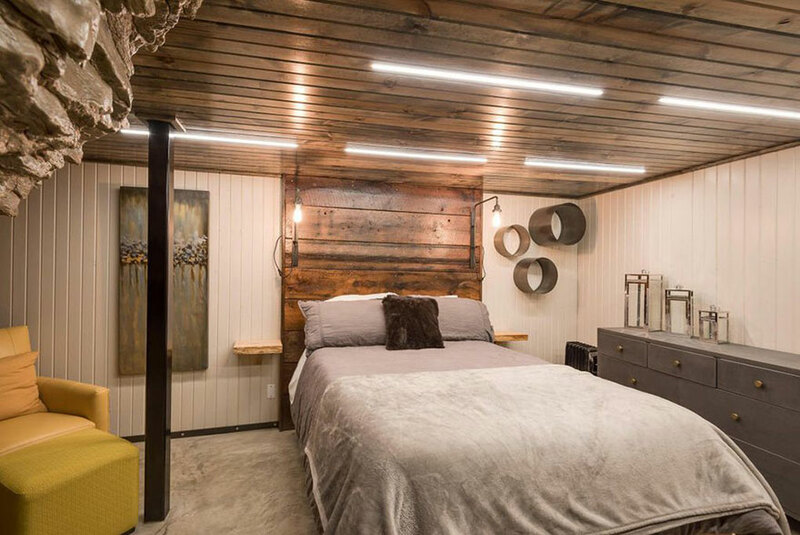 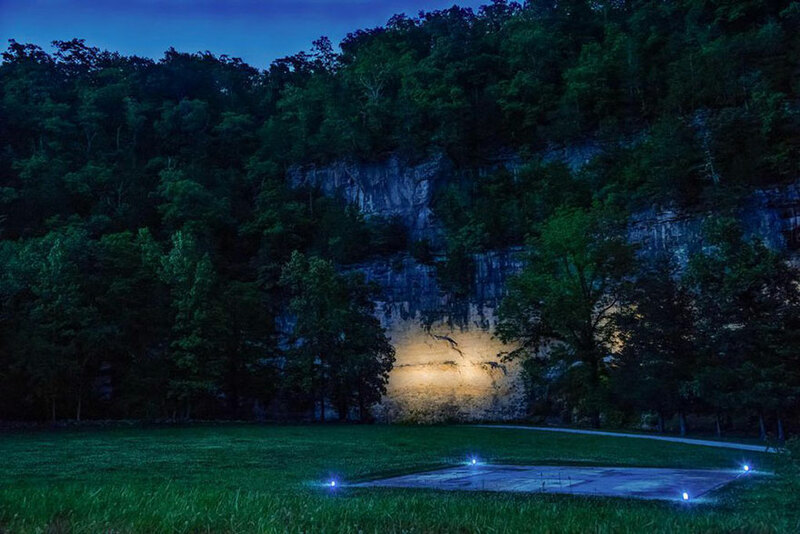 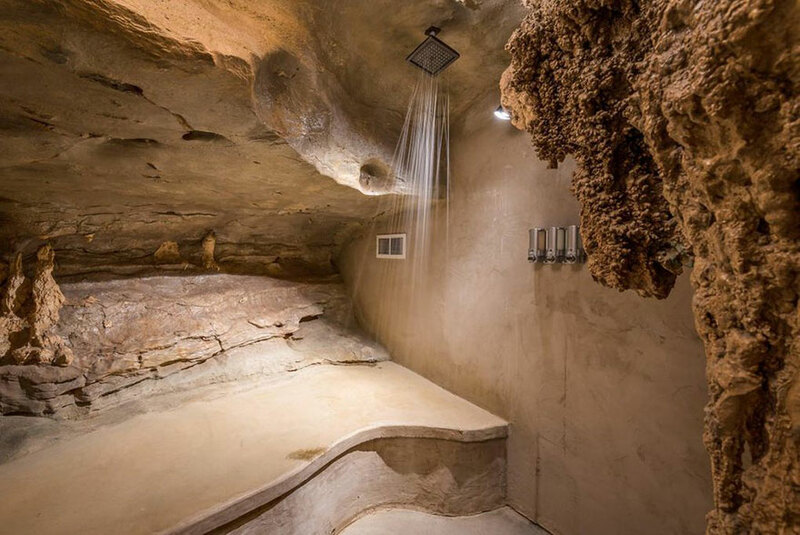 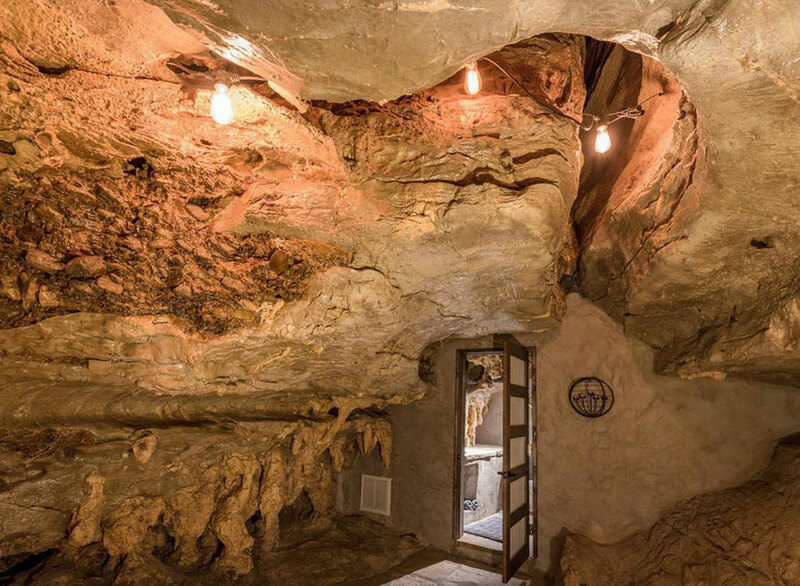 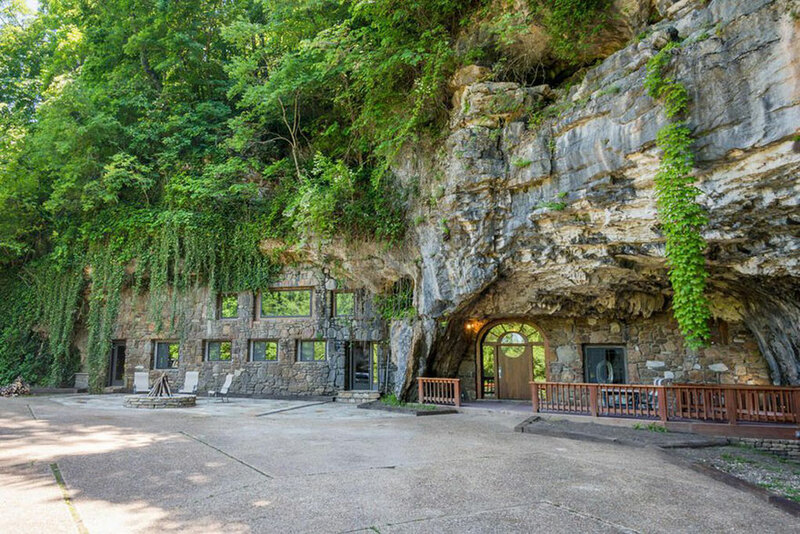 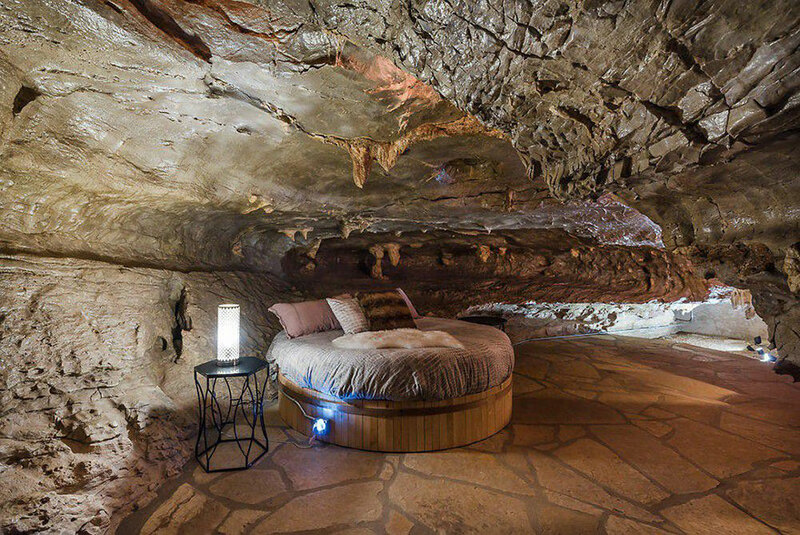 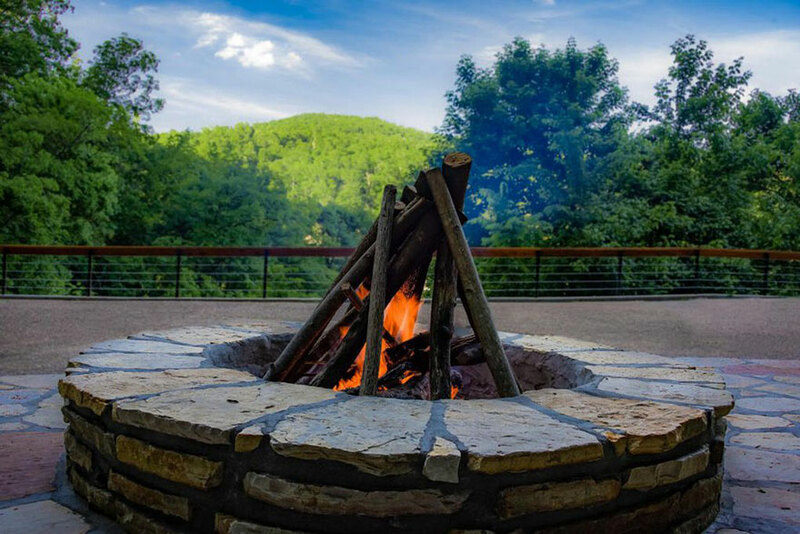 The Beckham Creek Cave Lodge located in Arkansas might be the perfect place for them. 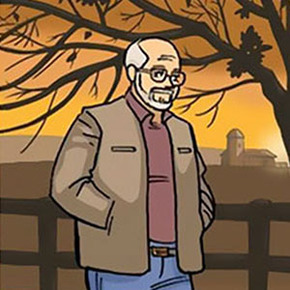 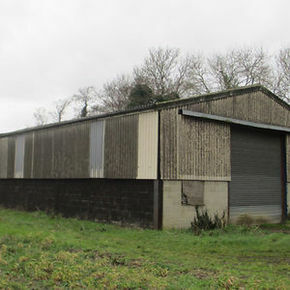 The 6,000 sq. 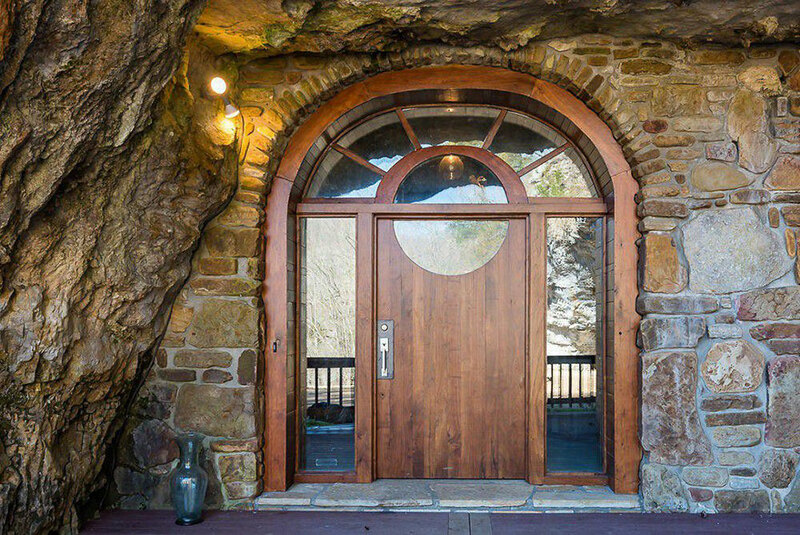 ft. lodge started as a bomb shelter but was repurposed into a luxury hotel in the 80’s. 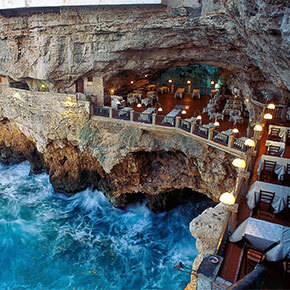 It is carved inside a giant rock, has it’s own waterfall and helipad, and one night’s stay costs $1200. 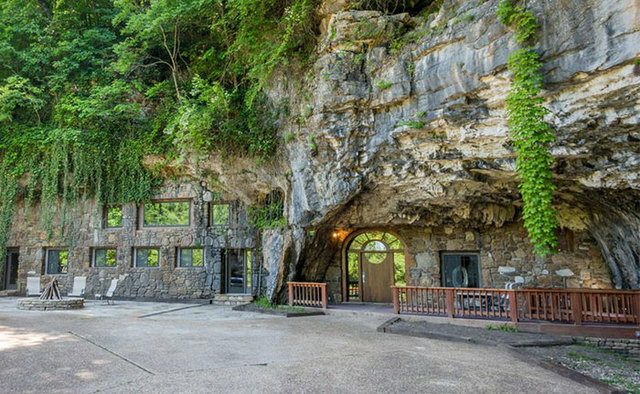 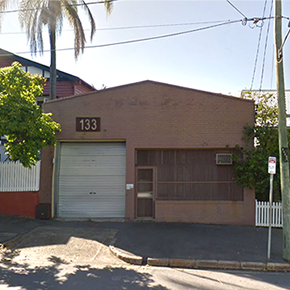 And if you think it looks like your dream home (or dream villain lair), you’re in luck – the owner is currently selling it! 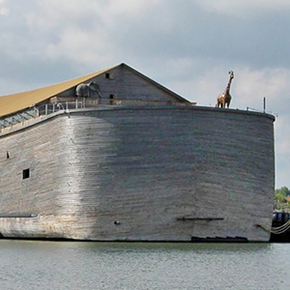 But keep in mind – the starting bid is a whopping $2.5 million. 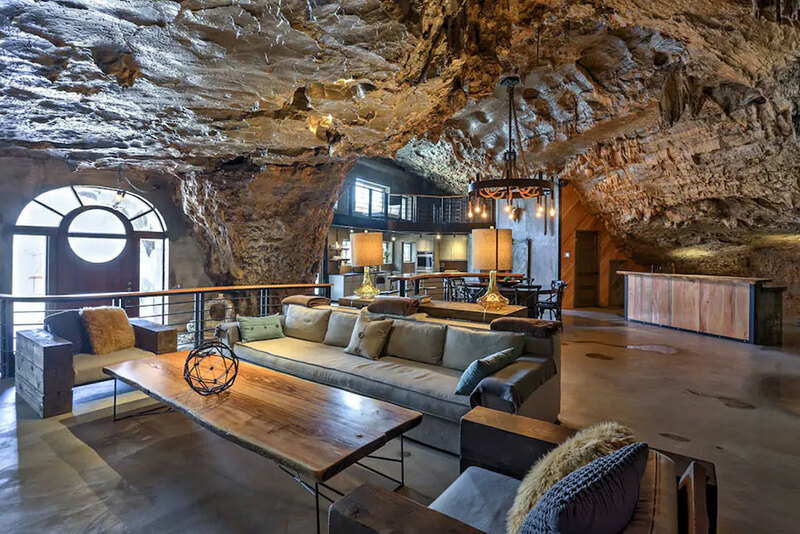 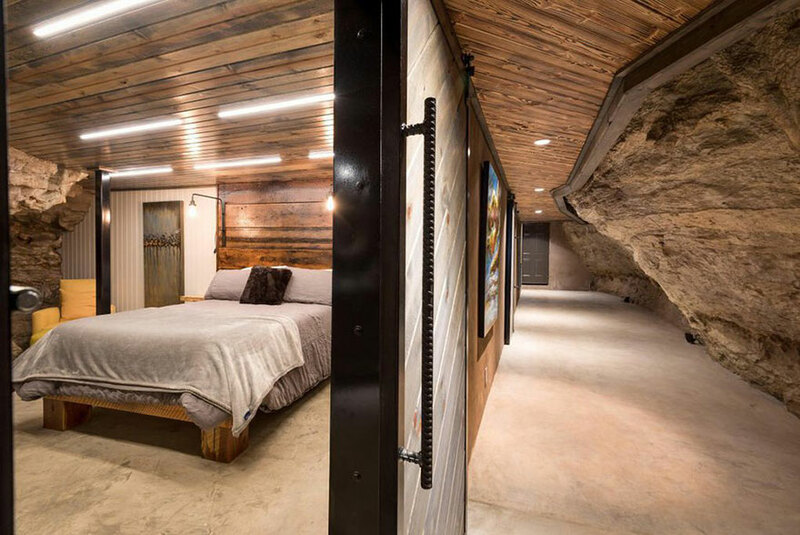 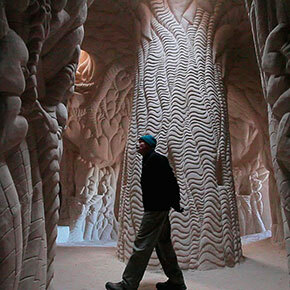 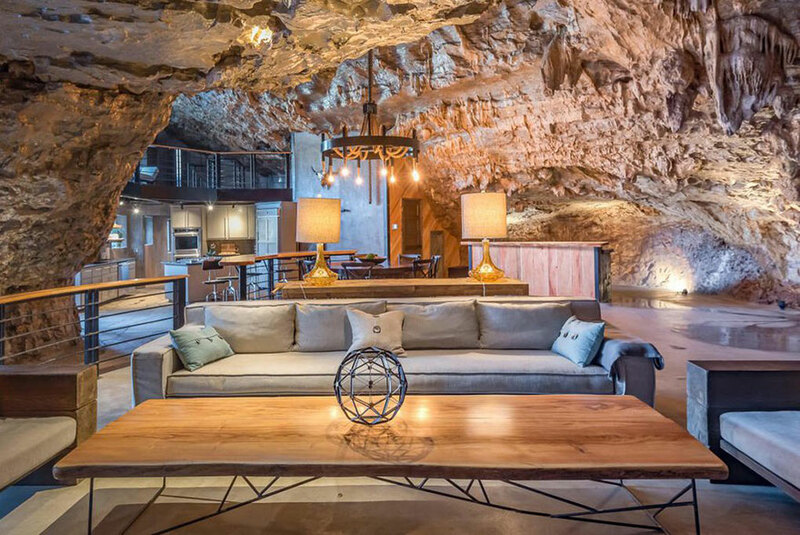 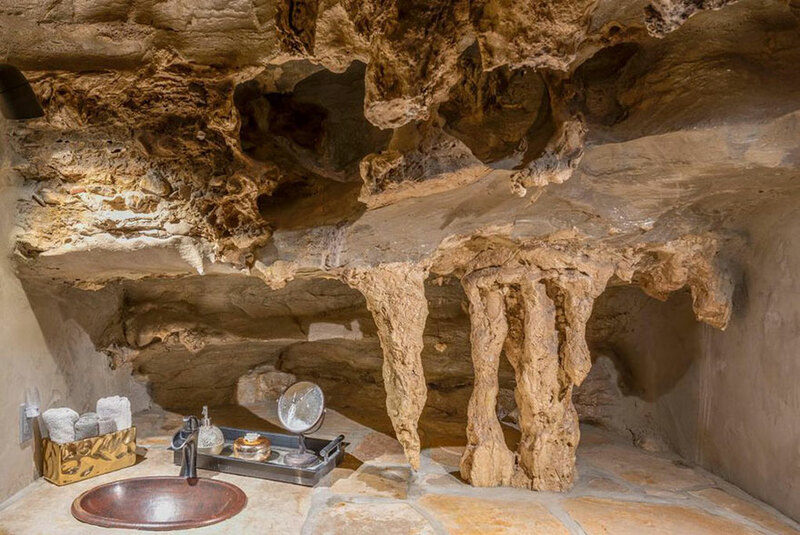 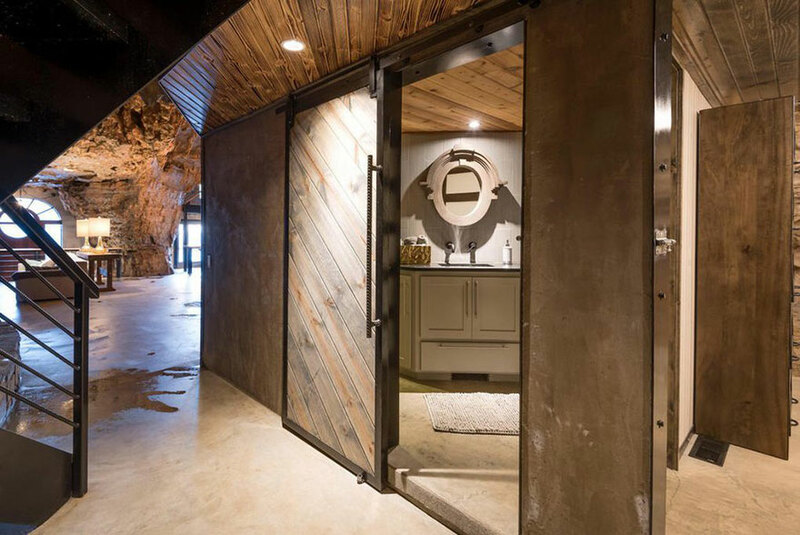 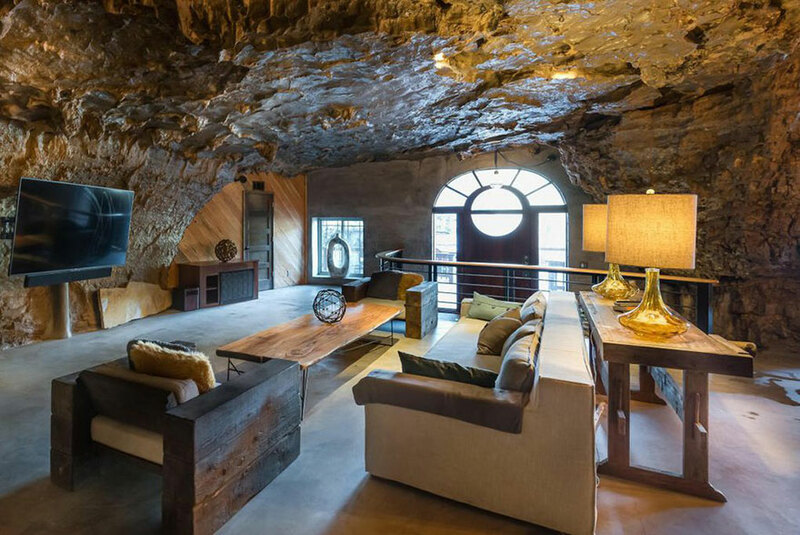 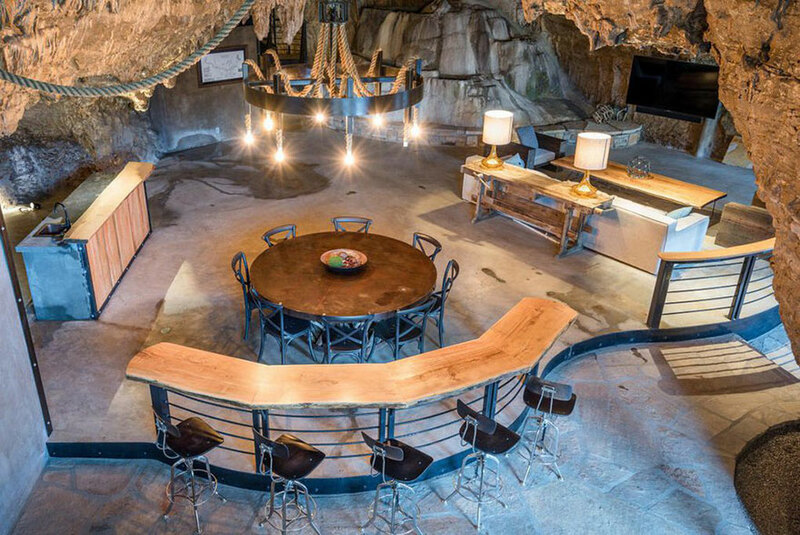 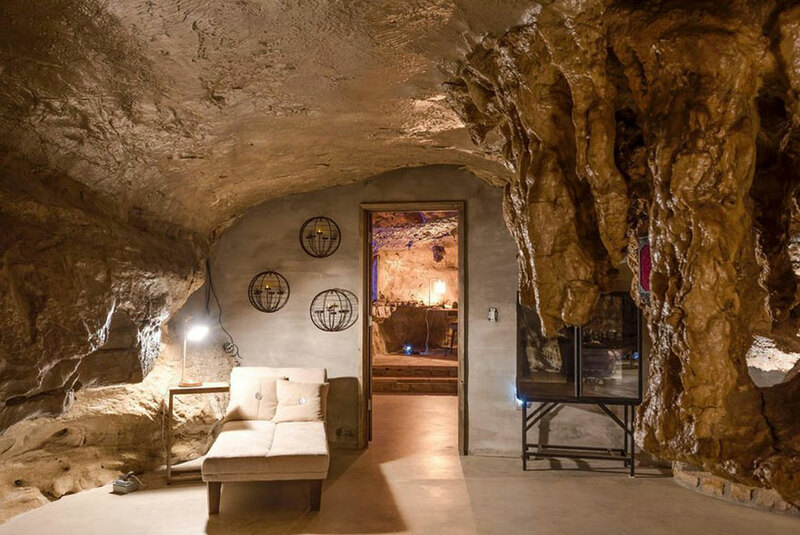 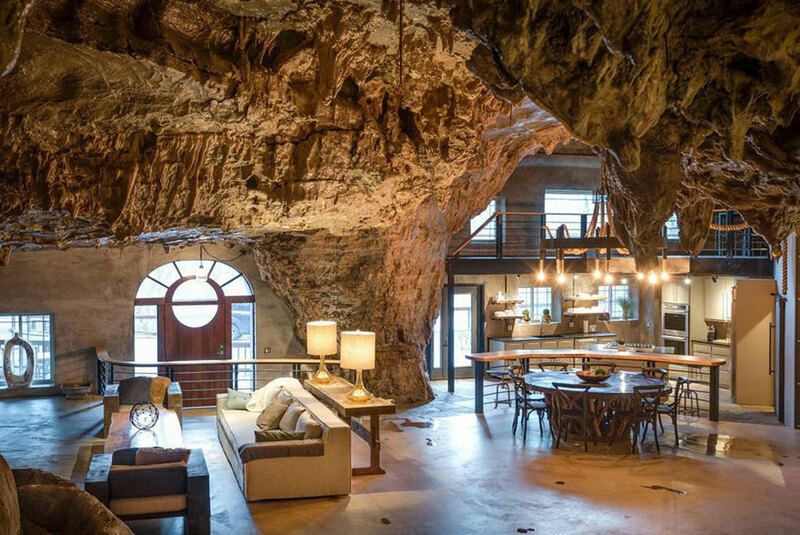 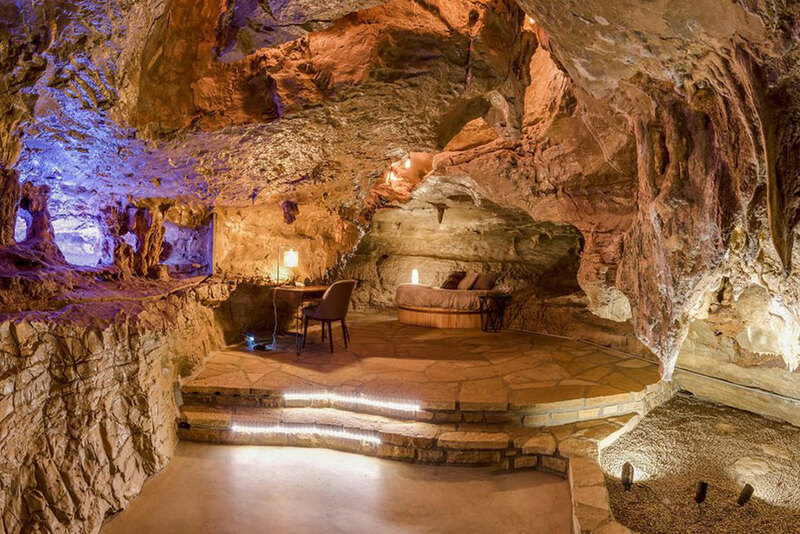 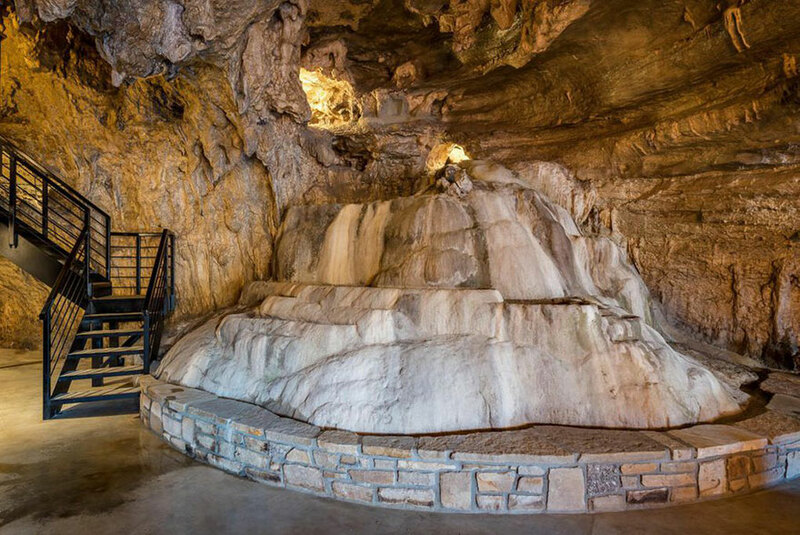 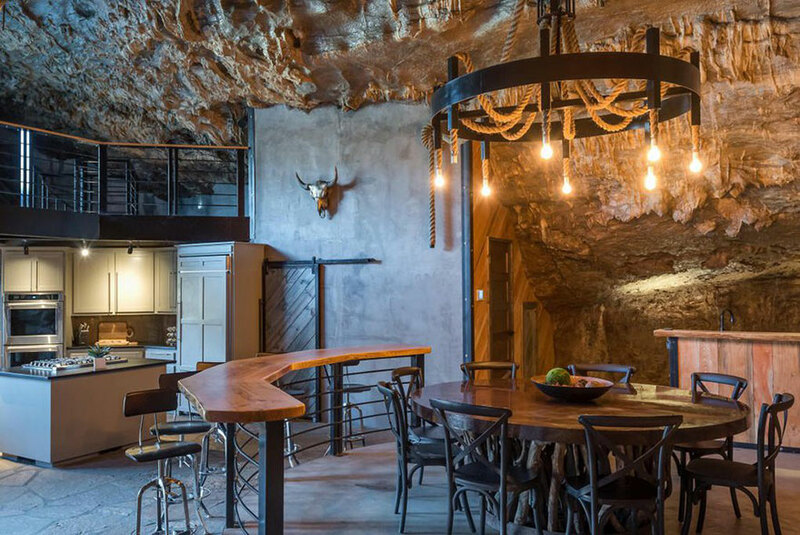 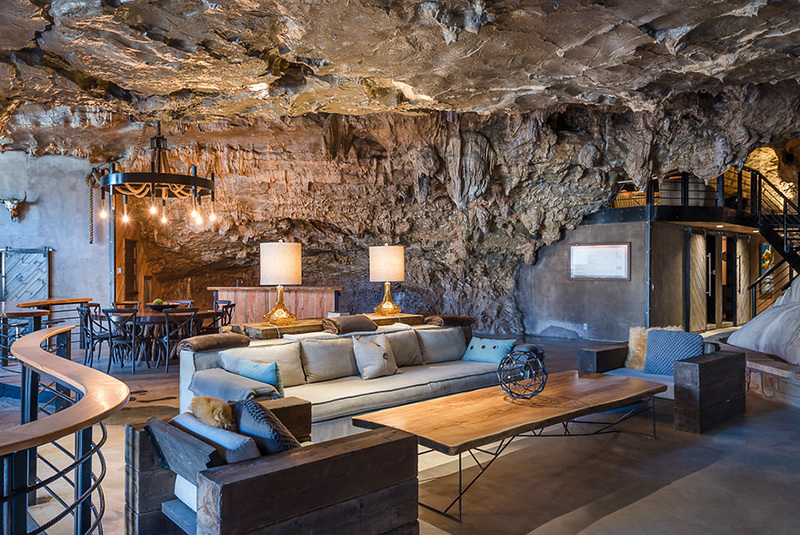 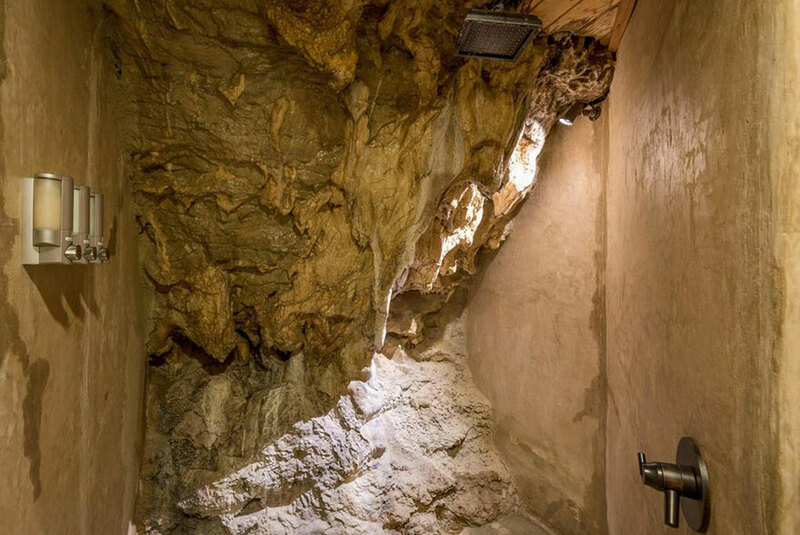 Check out the amazing lodge, nicknamed the ‘World’s most luxurious cave’ in the gallery below! 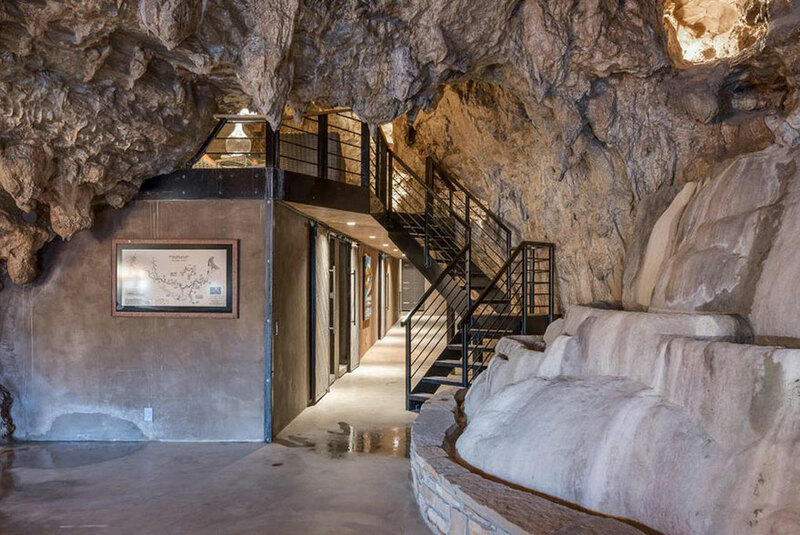 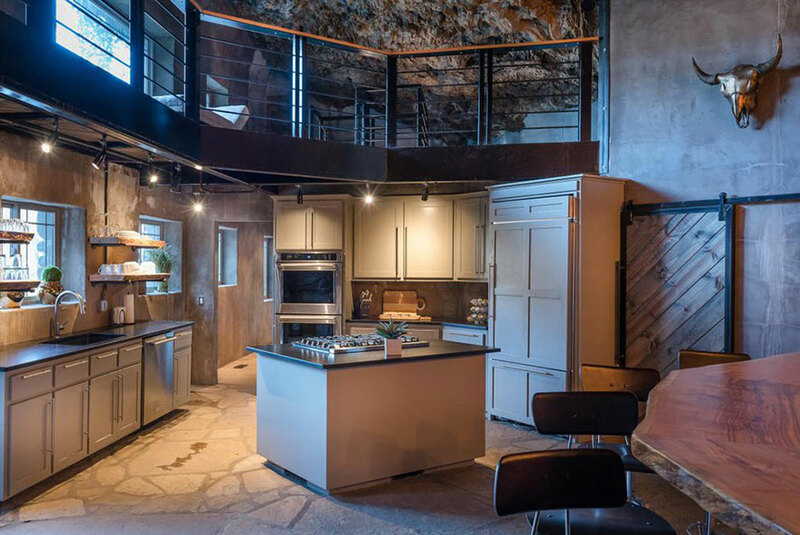 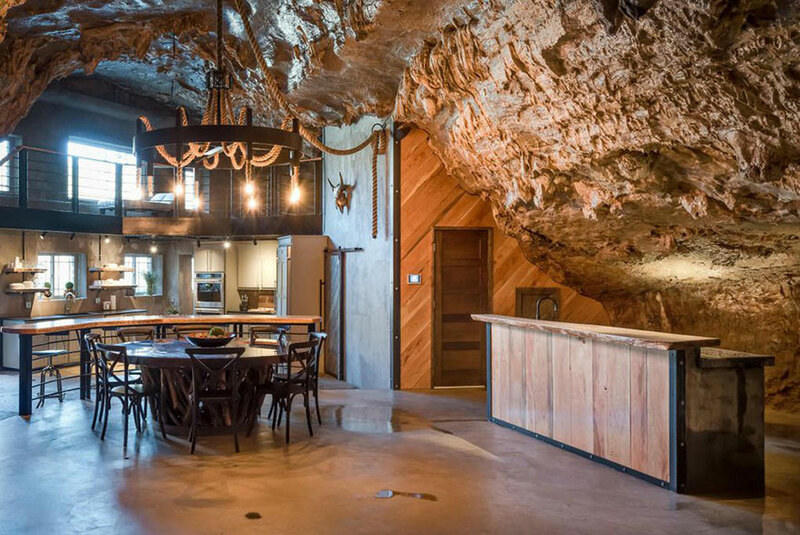 The cave even has it’s own helipad in case you need a place to park your chopper!